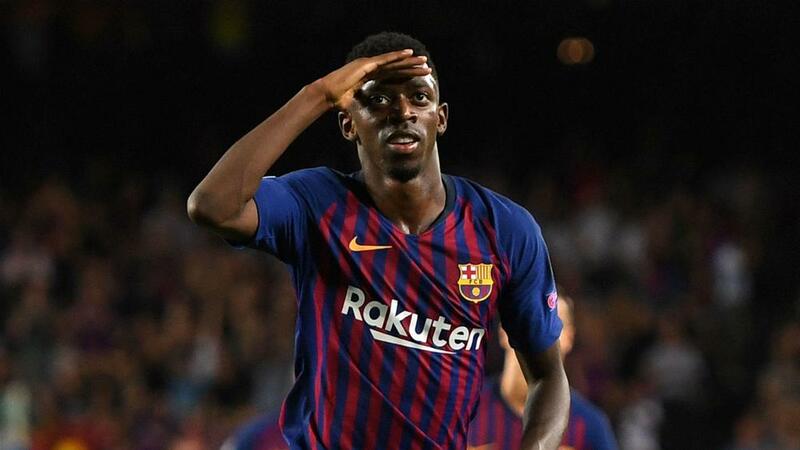 Paris Saint-Germain coach Thomas Tuchel praised the "incredible" Ousmane Dembele, but added the Barcelona star was "a little crazy". Dembele, 21, has faced criticism over his discipline this season, but has also found form for the LaLiga giants. The forward has scored 10 goals and provided five assists in 23 games in all competitions, helping Barca sit top of the league table. Tuchel worked with Dembele for a season at Borussia Dortmund in 2016-17 and he said there was no doubting the France international's talent. "Ousmane is an incredible player, he's really talented. I could watch his amazing skills in every training session," he told a news conference on Tuesday. "He's also a great human being. He's a little crazy. He's a really nice boy but a little crazy. He loves to laugh but can also have very serious conversations. It's never boring with him. "If he's focused enough, he can reach any level. When I talked to him for the very first time, he told me that he wanted to play for Barcelona. That's where he is now. "It means he can reach any level, but he needs to remain focused and improve each day. During training sessions he was as talented using his left or right foot. "He's a good boy. I had a good year with him." Tuchel's PSG face Guingamp in the Coupe de la Ligue quarter-finals on Wednesday.